ARE YOU TIRED OF GETTING BASHED UP FRONT ON OFFENSE? Of course you are. NOTHING’S WORSE THAN GETTING GRABBED AND FORCED BEHIND THE WOODSHED. You want to run the ball; however, you end up struggling to get positive yardage. Truth is, when you’re at a big-time program with lots of numbers and tradition, it doesn’t affect you at all. You simply flip a switch. That gives you light, and you carry on business without interruption. But there are a lot of coaches who don’t have access to this kind of always-on DNA. So, most coaches have to do things that they really don’t want to do: They visit colleges, buy DVDs, and take their assistant coaches to endless weekend clinics in order to gain coaching skills and overcome their players’ shortcomings. All this usually is a big waste of money. You don’t get anything systematically concrete, and it’s really dangerous to teach football in an abstract form. As you already know, you have to win the line of scrimmage to win the football game. Coach, the solution for those who want to win by running the ball, control the first level, and do so without ever having to block Defensive Linemen is right here. 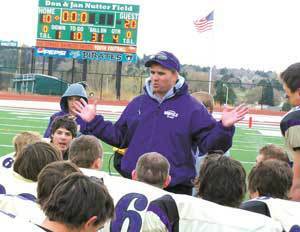 After running a camp with Lou Cella as Camp Director, Bayfield HS (CO) had an undefeated regular season for the first time since 1996 and advanced to the state championship game in Colorado. They did this with an Offensive Line that averaged 180 pounds. In 2010, Timmonsville HS (SC) was running the Spread Offense and finished the 2010 season with a 1-9 record. 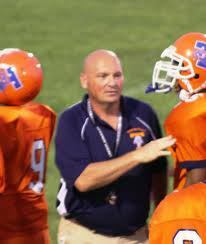 In 2011, after running a camp with Lou Cella as Camp Director, Timmonsville went to the South Carolina Class A State Semifinals and with a roster of 21 players. “The value of the camp cannot be measured in dollars and cents, although if you approach it from that angle it was a very cost effective strategy for us. I know many coaches would rather install an offense the traditional way by researching it, visiting colleges that run the offense and then picking coaches for information. The offense is then modified for their use using trial and error to develop the offense that best suits their high school’s team needs. I have used that same strategy and I know that it takes about 3 years to really gain an understanding of the offense and get players to execute it at a high level. Consequently in the research method you do not have any collaboration with experts that are readily available when questions arise or resources that have consistency. We knew that we had a good group of kids for the next couple of years and wanted to give them an offense that they could be successful with immediately. 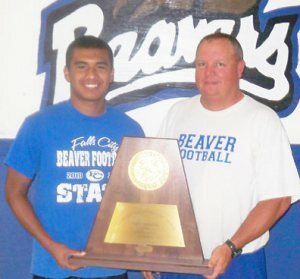 Read more Triple Option Football Academy testimonials right here. To learn more about the Triple Option Football Academy–go here. To learn more about Triple Option Football Academy Camps–go here.